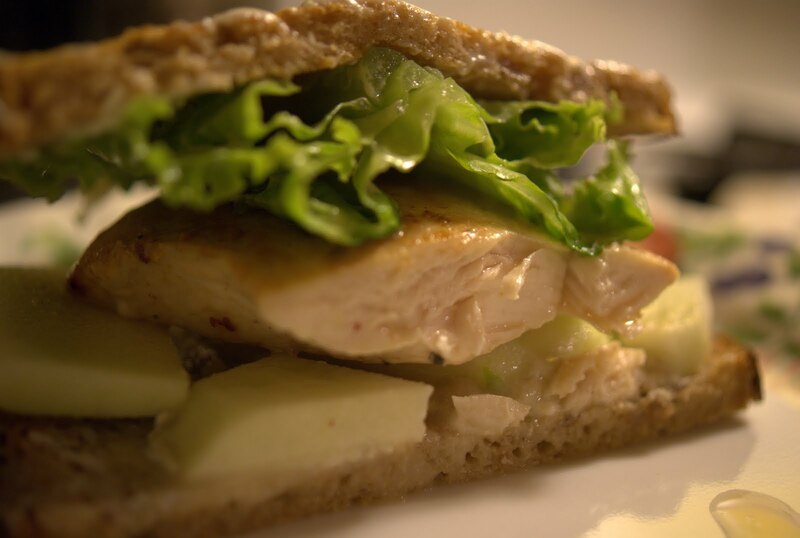 For whatever reason, chicken breast, sliced apple, and any type of blue cheese makes for an excellent sandwich filling. If you add a chewy rye bread, like jagdschnitten which we frequently use on Soused Blueberries (available at Karl's Sausage Kitchen in Saugus), then you pretty much have the ultimate lunch to bring to work the next day. And super easy to boot. 1. 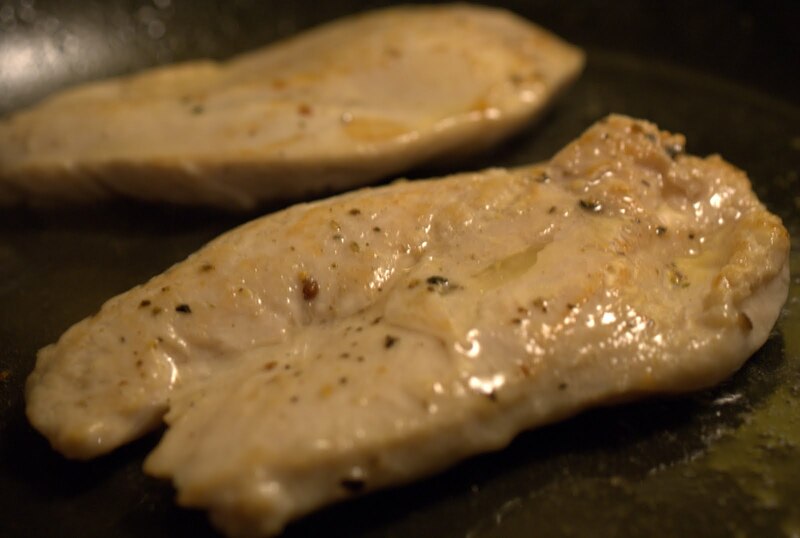 Slice the chicken breast in half lengthwise so that you have two equal flat pieces of chicken. Sprinkle with salt and pepper and a bit of lime juice for flavor. 2. Set a frying pan onto medium high heat, and add about a tablespoon of canola oil. Throw in your two pieces of chicken, sear for about two minutes on one side, and then sprinkle with lime juice. Turn them over, cook for another two minutes, and again sprinkle with lime juice. Now, your chicken may or may not be cooked at this point. Use your judgement, touch them with tongs to see if they feel raw or they feel almost cooked. Also, since this is a sandwich, there's no harm removing to a cutting board, and cutting open a piece you think might be cooked at the thickest point. Better to be sure than, you know, die of salmonella poisoning. That's a party killer, right there. 3. Meanwhile, toast up your bread and smear one side of each sandwich's bread slices with the blue cheese. Smear the other side with a bit of mayo. 4. Slice an apple into approximately 1/4" rounds, and arrange your slices on top of the Gorgonzola. 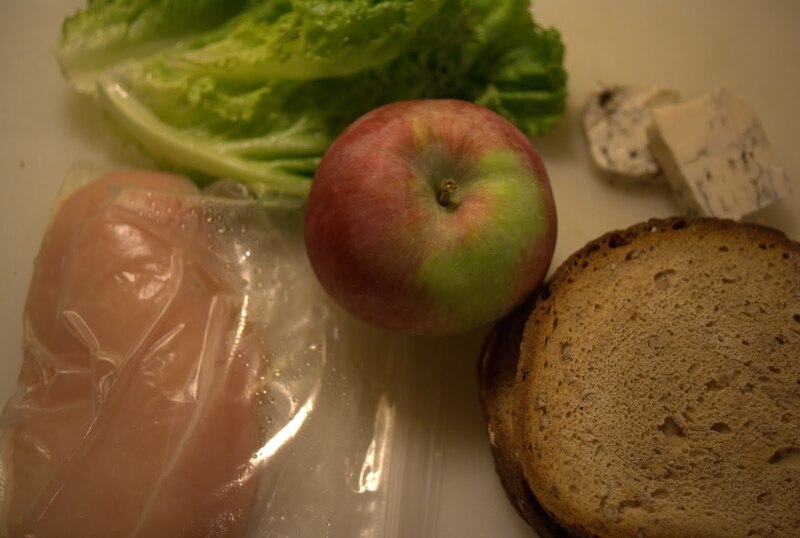 Now in comes your chicken breast, and a few leaves of crunchy lettuce, like romaine. Top with the other piece of bread that has the mayo. This sandwich is chewy and perfectly balanced. One bite, and on the canvas of the earthy, hearty jagdschnitten, you'll find that the tangy, salty blue cheese plays wonderfully with the slices of tart apple. By the way, I most often go with a McIntosh apple, because it's so crunchy, sweet, and a little bit sour itself. But mainly, it just holds its own in any sandwich quite well. Then, of course, you've got the essence of lime bouncing off of the savory chicken breast. Overall, this is a treat of a sandwich, and I encourage you to use strong, flavor-forward cheeses between two slices of bread whenever possible.